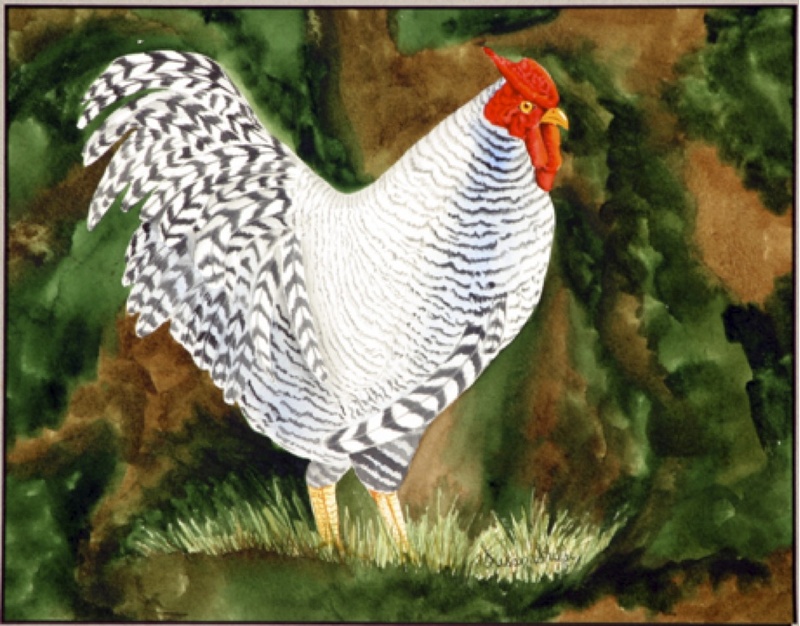 Dominick was this rooster’s breed and his name. Most people think he was a barred rock rooster but he wasn’t, they have a very different comb, it is more flat and bumpy, not erect like most breeds. He was a beautiful bird and one of the few pure breed chickens we’ve had on our farm.